A luxurious stay at one of the most coveted historical luxury hotel in the country -The Imperial is incomplete without enjoying a signature treatment at their award winning spa. 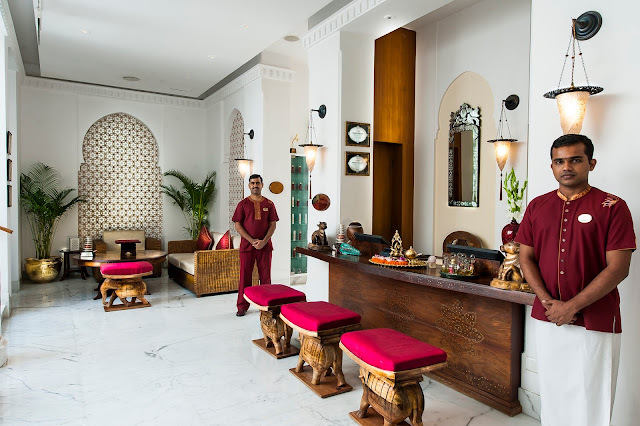 Situated in an oasis of calmness & in one of the most iconic hotels, is the signature spa that offers holistic wellness treatment where one can also avail salon services which pamper resident guests. My staycation at The Imperial was a mind boggling experience, nestled in the lap of luxury ( read all about it here) that was accentuated by my visit to the spa. 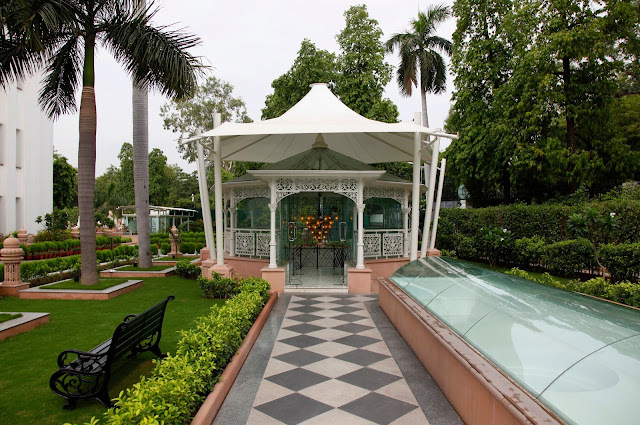 One fine evening, I stepped in to the spa to indulge in a signature experience like no other! Located in the laps of lush green landscaped gardens, the spa is a holistic wellness sanctuary that also houses a state of art fitness center, steam & sauna facilities, yoga studio, international squash court & more facilities. After a warm welcome at the reception, I was introduced to my therapist who noted my medical history. I walked towards my treatment room, soaking in the calm atmosphere & ambiance of the spa. 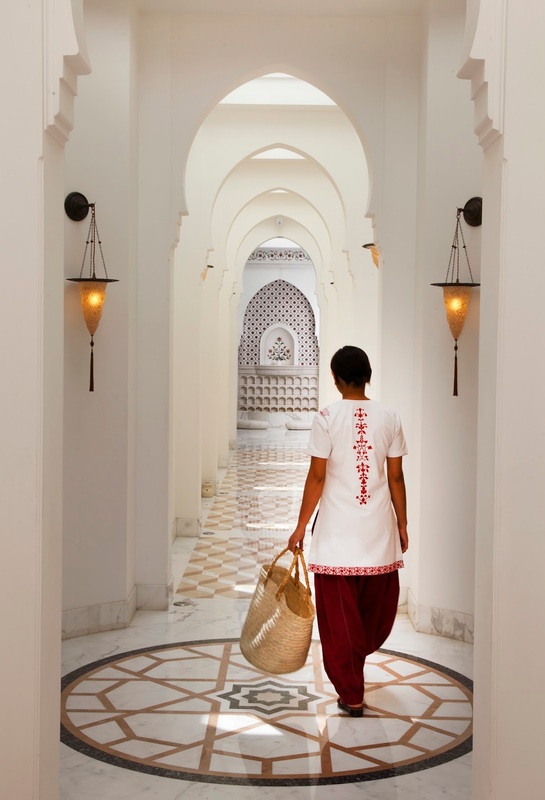 An intricate blend of Mughal & Indian architecture, the spa offers a range of luxe treatments for guests. The in house Ayurvedic doctor can help diagnose & design specific treatments according to individual doshas, if desired. The majestic corridors of The Imperial Spa. A brief steam & sauna session later, I was ready to be pampered. I chose the signature "Imperial Depth" treatment that encapsulates deep tissue & energy balancing techniques for holistic overall well being. The treatment started with cleansing of my feet in lukewarm water as I pondered over music of my choice. 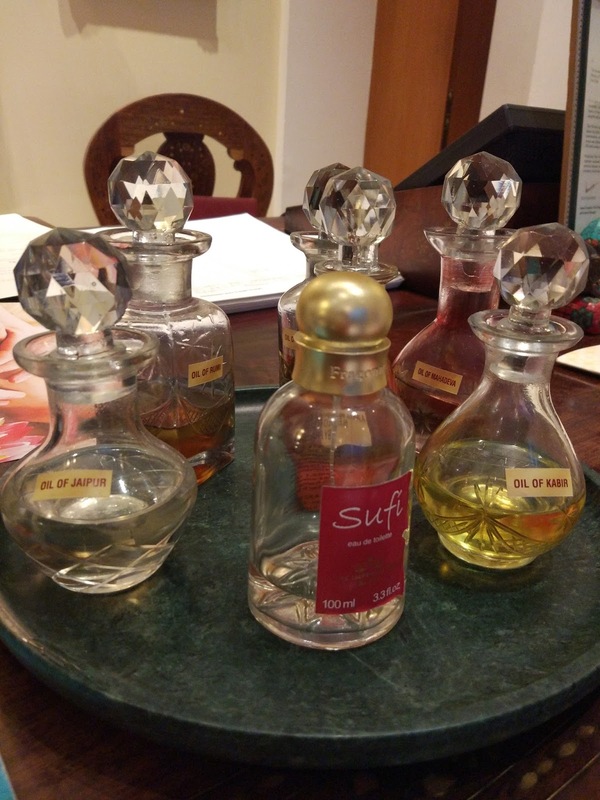 One gets to choose from exotic blends of Imperial Sufi- a signature product range like Oil of Kabir (protective & enriching), Oil of Rumi (deeply relaxing & my choice for the treatment), Oil of Jaipur (de-toxifying) & more made with pure, natural & organic products. For 90 minutes, the therapist worked with dexterous strokes that banished away my early morning flight jet lag. The Imperial spa & saloon is a blissful sanctuary in itself that lets you escape from the humdrum of city life with personalized healing remedies. One can also avail bespoke therapies like facial treatments, body scrubs, massages designed for gentlemen, spa rituals for couples or Ayurvedic therapies like Shirodhara, Abhyanga massage & more provided post doctors consultation. Make some time during your stay at The Imperial to detox, de-stress, rejuvenate & relax with the rhythmic healing powers of nimble fingers of an experience spa therapist......as the best time to relax is when you don't have time for it! Sometimes, the deductibles from a person's health insurance may turn out to be more expensive than the price of going overseas for treatment. Dr. David Cheah explains this is why people who simply cannot afford health insurance, choose traveling abroad as a legitimate alternative. Most any product you normally put on your skin will burn if you try to use it on your freshly waxed skin, Manhattan wax centers so avoid these products for about a day or two.